I’ve been receiving a lot of requests for Christmas photoshoots and I’m excited to announce the launch of my Christmas mini sessions. Christmas mini sessions are just 20 minutes long. The studio will be set up with the scene ready to pop your littles ones into, making the process fast and fuss free. There will be two Christmas themed sets available, a White Helsinki set up & a Red Winter Nest set up which you can see below. There is limited availability so book early to secure your place. (maximum age: 3 years old) – this is due to the physical size of the christmas scenes. If you are interested in a longer session, with time for outfit changes and a variety of family shots please take a look at my bespoke packages. I also offer beautifully bespoke newborn sessions. 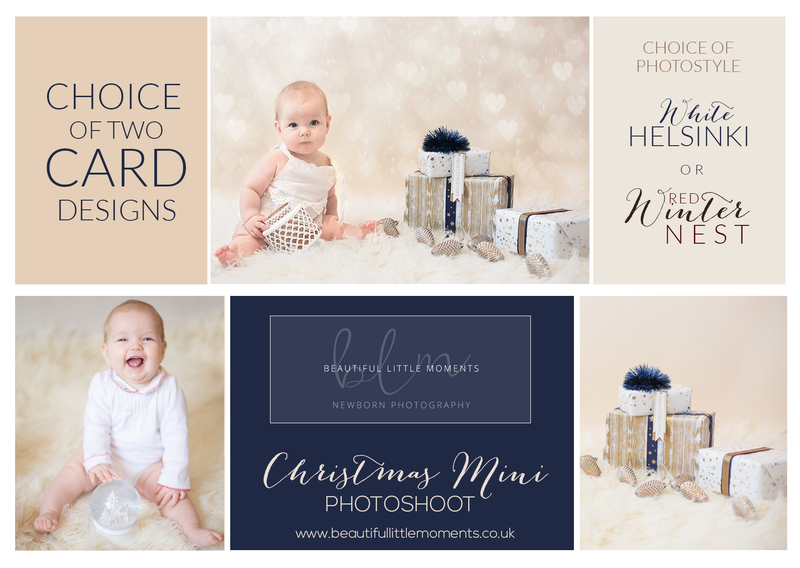 Whichever session package you choose you will receive a digital file with your choice of Christmas card design. 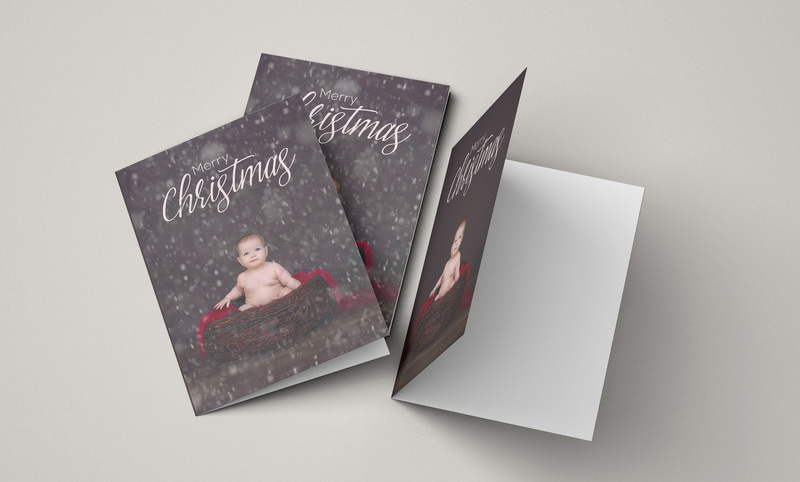 You can choose from 2 designs and your cards will be designed to be printed as 6×4″ cards. 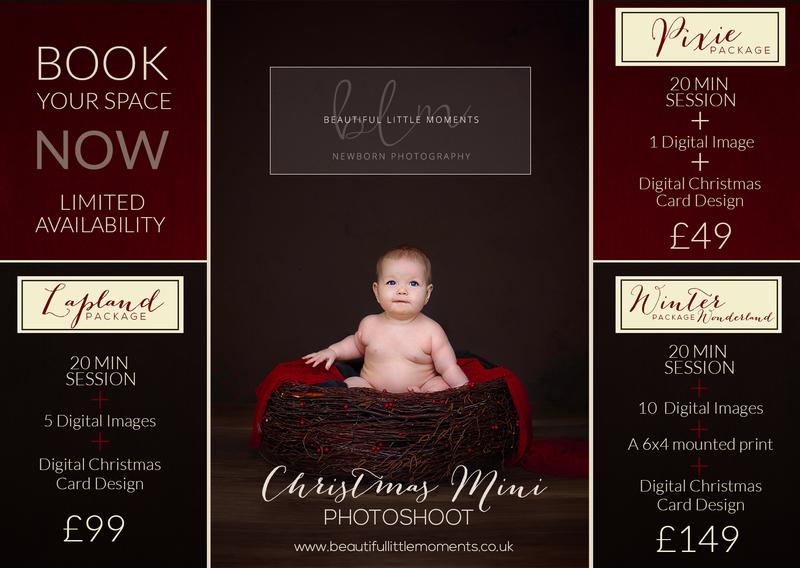 If you’re interested in booking a space on the Christmas Mini Session please complete the form below. Please note your space is not booked until I have received your deposit payment. I will send you an email and payment details once I have received you form submission. Please select the “add me to your waiting list” option below if you can’t make any of the time slots currently available and you will be the first to know if new dates are added. Previous Post: « 6 months….